#Puntland : When president & his cabinet start selling the #TurkishAid in the black market !! The Corruption in humanitarian aid is among the worst kinds of corruption could happen. It can mean the difference between life and death. It robs people of essential resources, destroying dignity and causing desperation. On the fourth day of this month August 2016 a Turkish aid ship arrived in the port city of Bosasso in the East Region and the commercial capital of Puntland State of Somalia carrying nearly 3,500 tonnes of food provided by the Turkish people and government to Somalia. 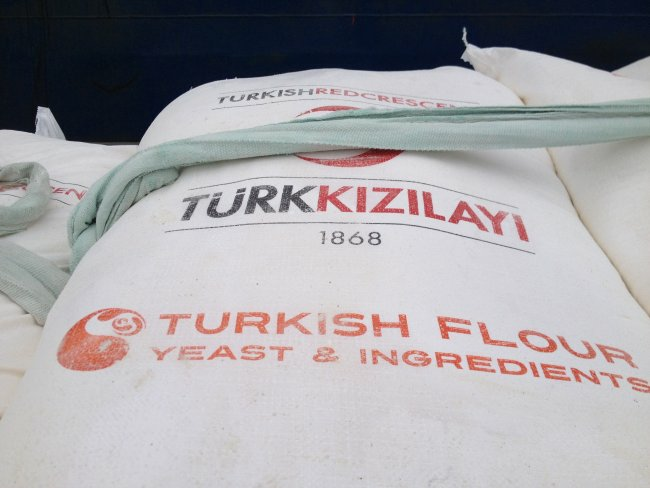 Instead of distribution and delivering the Turkish aid food to the families and the neediest areas , the President of Puntland State of Somalia and his cabinet ministers have begun to sell Turkish sugar and rice publicly on the black market, opening the way for many people to sell the remain food which allocated for the needy people such as flour, as an Arab proverb says what is meaning if the bigger camel screamed what you are expecting from the young camel. Miskiin iyo Tuug Maxaa kale qabsadey? Sheeko Akhris Mudan : Soomaalaay Makhaayadayda ha iga imaanina mar dambe"..!! Qoomaal ::Qoomyohow qof nooliba marbuu qaladka diidaaye.